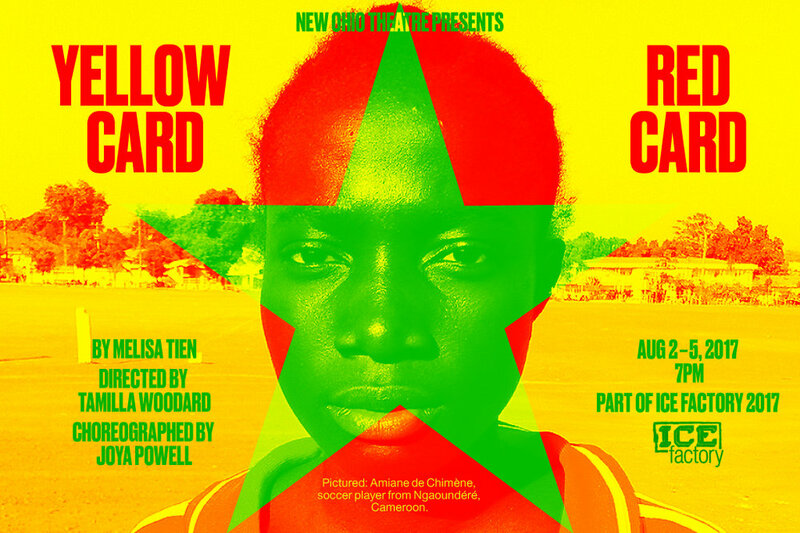 Yellow Card, Red Card is a play-and-sporting-event-in-one that explores what happens when young women in a socially and culturally restrictive environment begin to recognize their own agency. In Yellow Card, Red Card four female soccer players in a Muslim town in Cameroon prepare for a championship that will determine the future of the team, and the trajectory of each girl’s life. 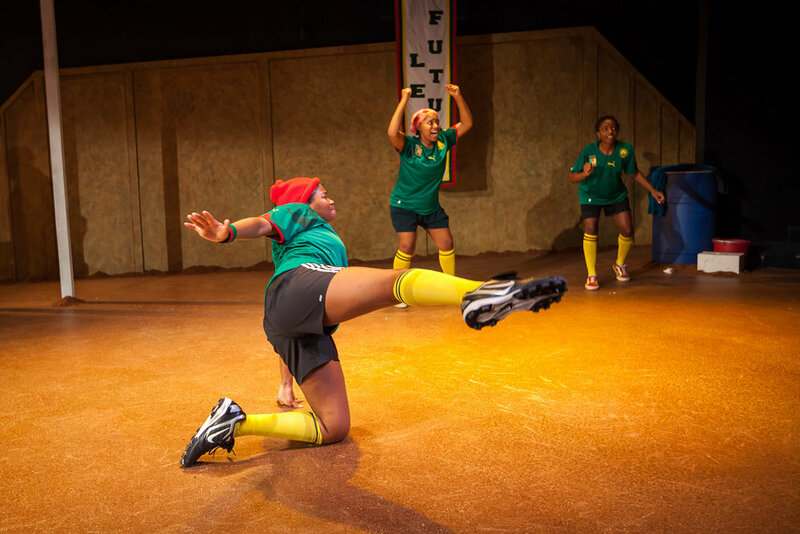 Incorporating movement based on the games and practices of a real-life Cameroonian girls’ team, this play-and-sporting-event-in-one explores what happens when young women in a socially and culturally restrictive environment begin to recognize their own agency. 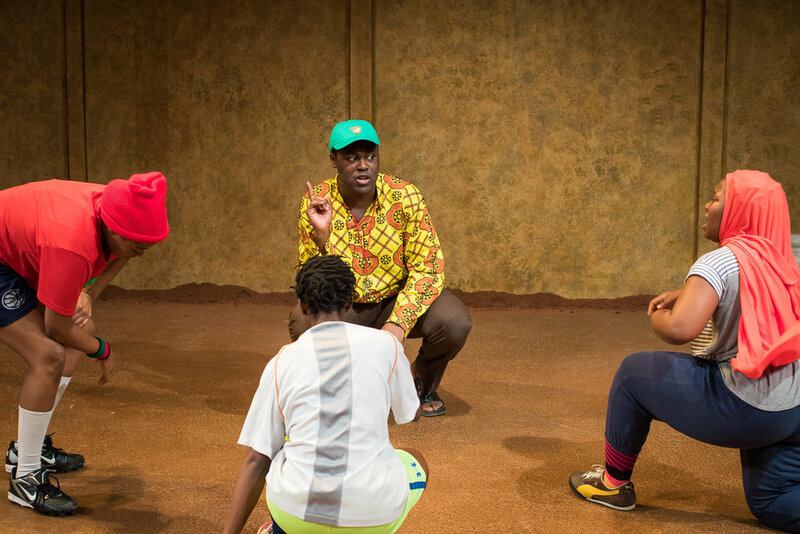 The characters are based, in part, on a team of girls I interviewed while I was in Cameroon to research the play.